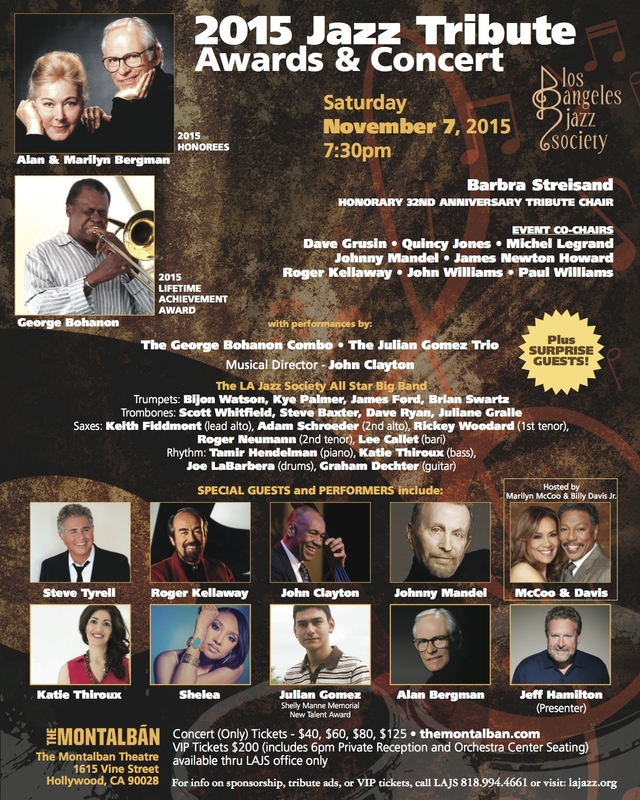 at themontalban.com for 2 for 1 $25 tickets, all to support the LA Jazz Society. 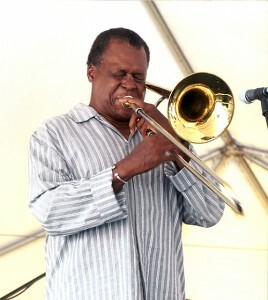 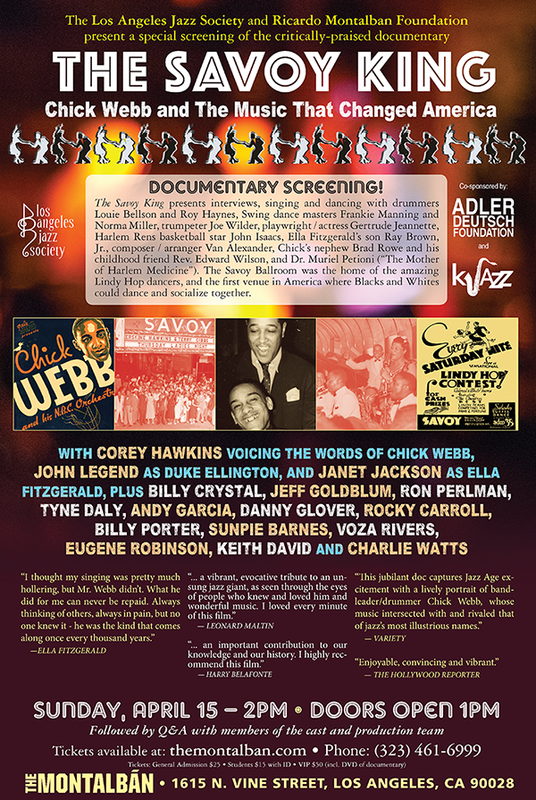 This entry was posted in All News, Events and tagged Chick Webb, Los Angeles Jazz Society, Montalban, music documentary, The Savoy King on April 4, 2018 by admin. 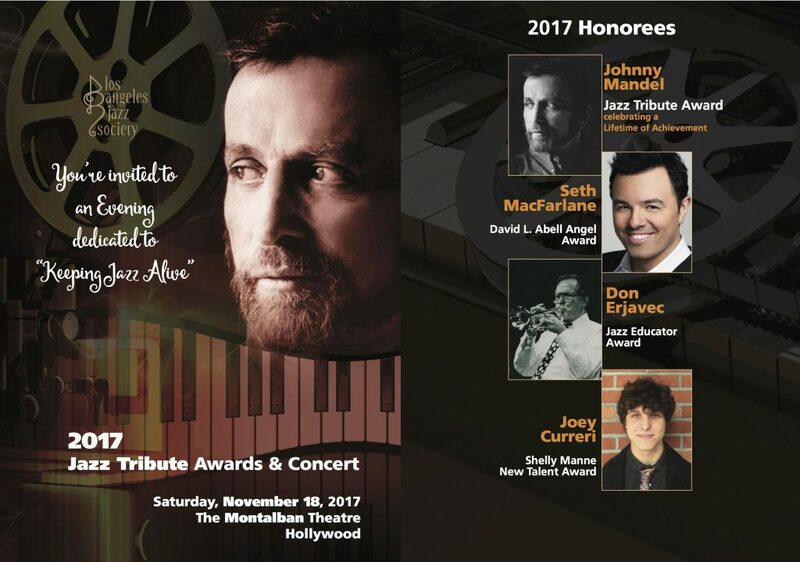 This entry was posted in All News, Events and tagged Don Erjavec, Jazz, Joey Curreri, Johnny Mandel, Los Angeles Jazz Society, Seth MacFarlane on November 9, 2017 by admin. 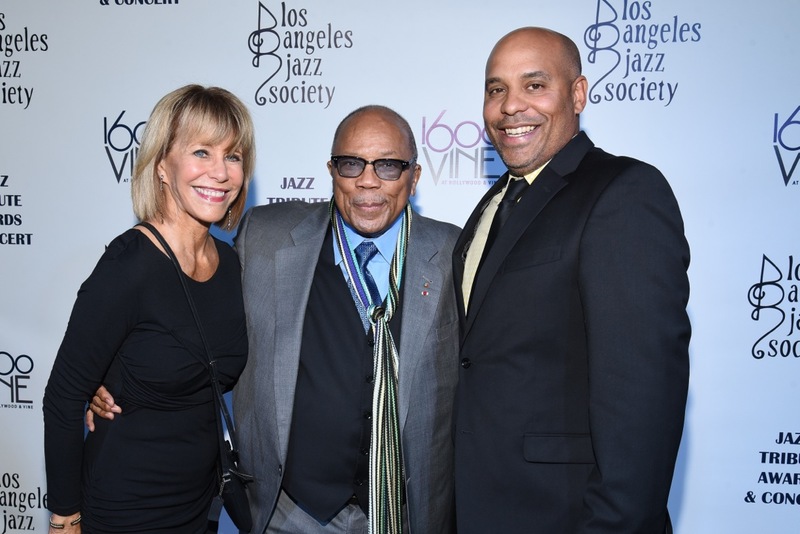 This year’s Jazz Tribute Awards Concert presented by the Los Angeles Jazz Society was held Saturday, Nov. 19 at The Montalban Theatre in Hollywood honoring the one and only Quincy Jones with our 2016 Lifetime Achievement Award. 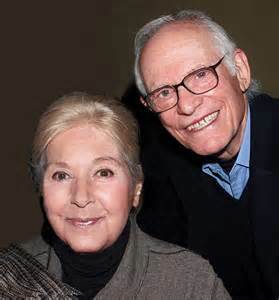 This entry was posted in Features and tagged LA Jazz Society, Los Angeles Jazz Society, Quincy Jones on December 16, 2016 by admin.